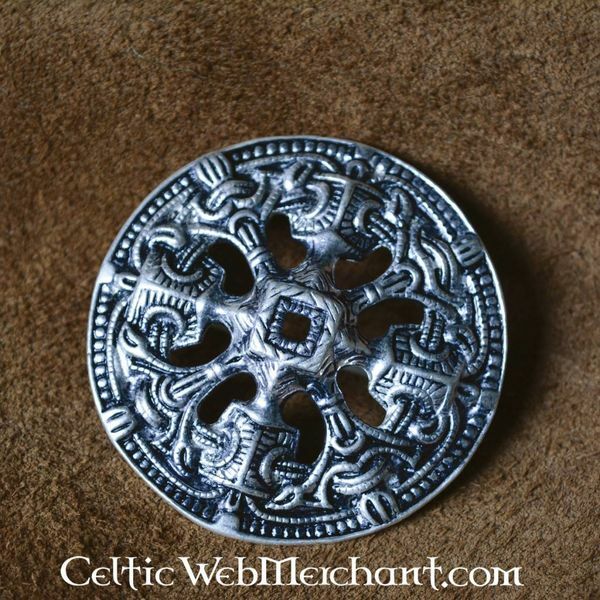 This disc fibula is made after a 9th-10th century original excavated in Norway. 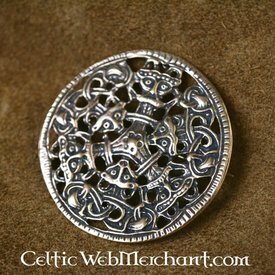 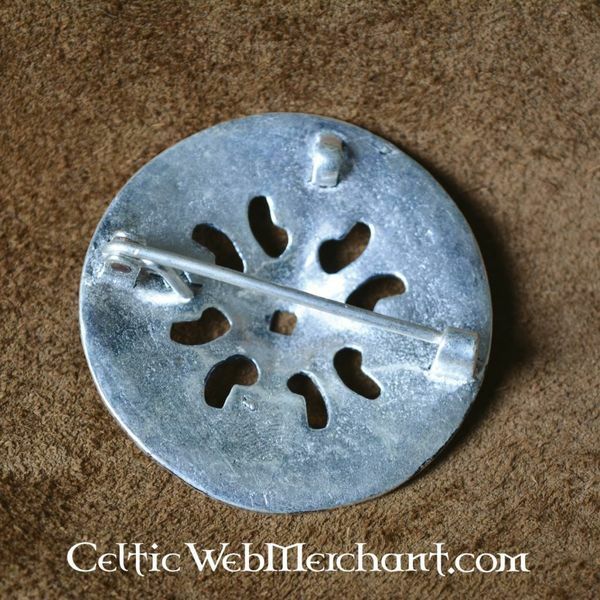 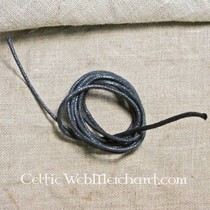 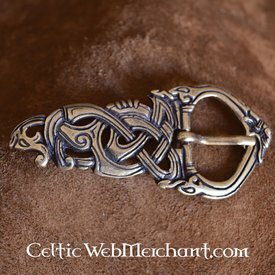 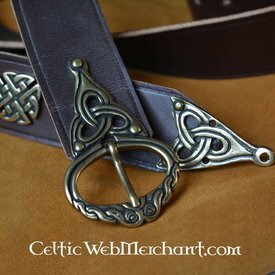 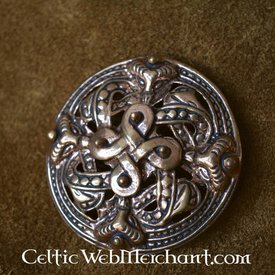 Fibulae like this were worn by the Norse Vikings in Scandinavia and on the British Isles. 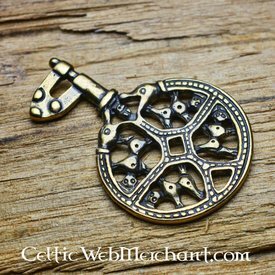 This fibula is made of silvered brass. 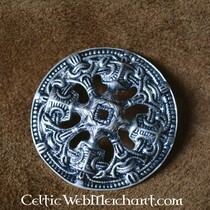 It has a diameter of 5,5 cm.